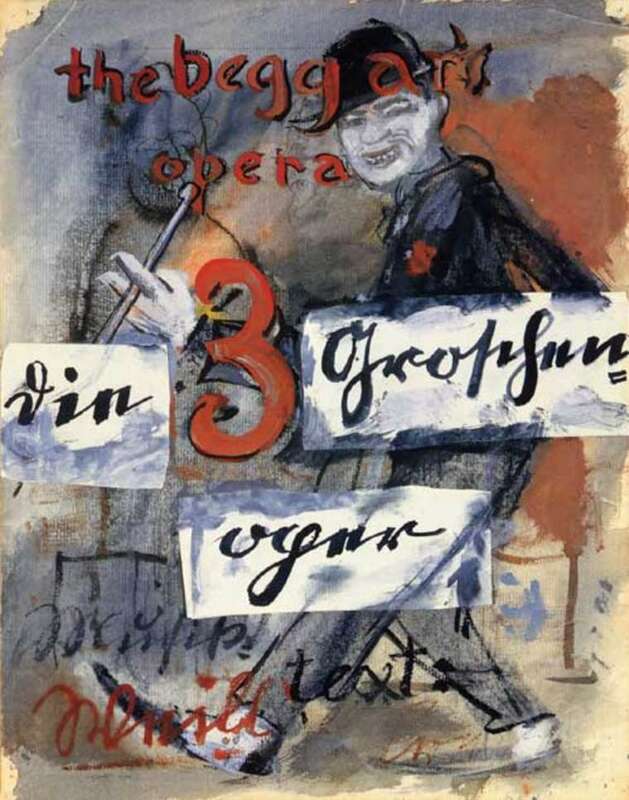 On this night in 1928, The Threepenny Opera by composer Kurt Weill and playwright Bertolt Brecht opened in Berlin's Theater am Schiffbauerdamm. According to a website dedicated to the work by the Kurt Weill Foundation, the show "transformed saccharine, old-fashioned opera and operetta forms, incorporating a sharp political perspective and the sound of 1920s Berlin dance bands and cabaret. Weill's acid harmonies and Brecht's biting texts created a revolutionary new musical theater ..."
When The Threepenny Opera was originally staged in Germany in 1928 it had strong political and aesthetic impact. Among its successful results were: 1. The fact that young proletarians suddenly came to the theatre, in some cases for the first time, and then quite often came back. 2. The fact that the top stratum of the bourgeoisie was made to laugh at its own absurdity. Having once laughed at certain attitudes, it would never again be possible for these particular representatives of the bourgeoisie to adopt them. 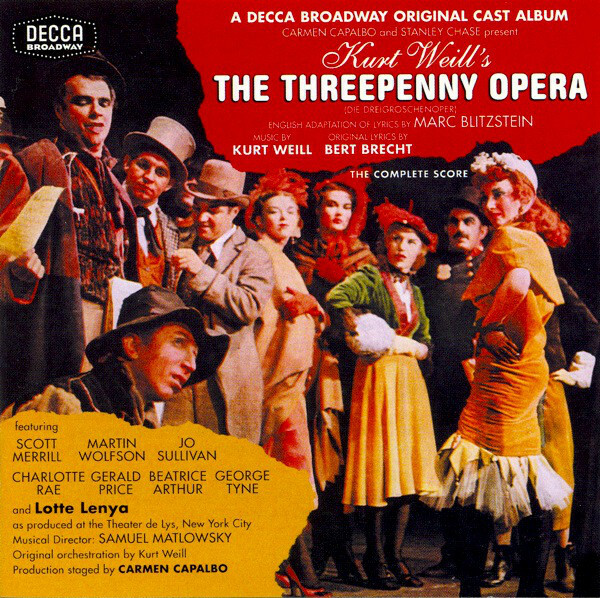 Another thing The Threepenny Opera had going for it: a bunch of great song that still resonate today. Here are a few of those performed by some folks who weren't around for the original show. Let's start with Nina Simone performing a song called "Pirate Jenny." It's about a cleaning lady who has some pretty intense revenge fanatasies. Tom Waits' music has obviously been influenced by Brecht and Weill. He actually covered a Threepenny tune, "What Keeps Mankind Alive." Indeed, "Mack" is such a big one, it deserves a double shot. Here is The Doors doing it to introduce another Brecht -Weill song, "Alabama Song (Whiskey Bar)"